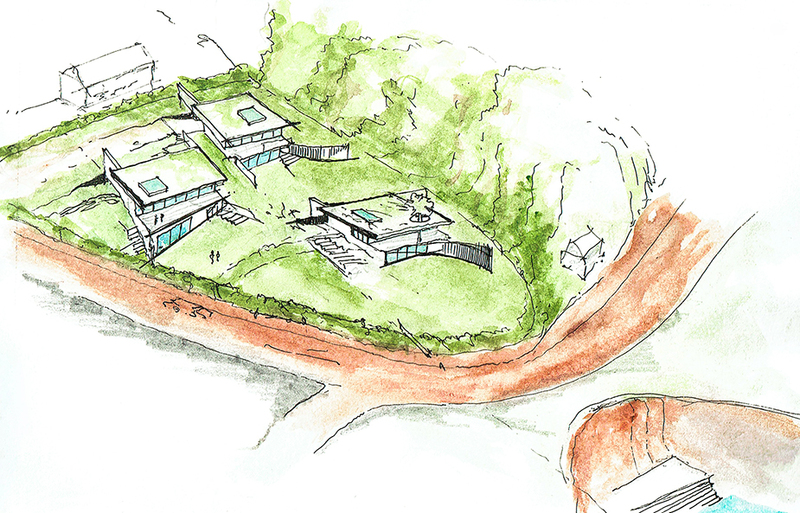 Nestled into a high banked plot of land overlooking a beautiful Bay in Mumbles, Swansea, our latest project The Ochre House is something we are very proud of. At the base of the cliff supporting the steps, is an old iron ore mine that is believed to have been worked as far back as Roman times. At low tide the bay is exposed and clearly shows it’s history with deep red iron ore bands running through the strata in a line directly with the plot. The home is designed on the ethos of form following function. Every wall, ceiling and floor is derived directly from context. Our clients who are Malibu based but originally from the area tasked us with building a light filled, bold home with double height spaces and large open living areas. 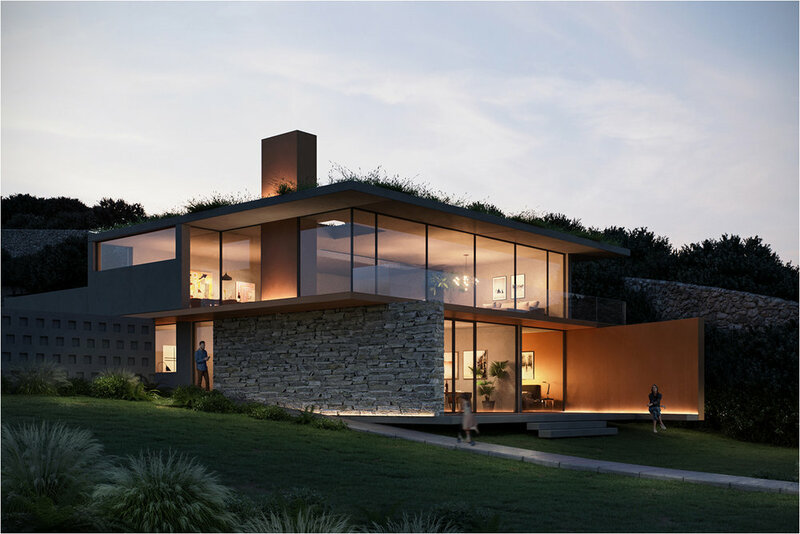 The Ochre House will sit quietly in their surroundings, integrated within the landscape. The plot of land is large and the entire development will will eventually realise three magnificent homes. Subtle Architectural forms and materials will evolve directly from contextual references. The houses will utilise sustainable, modern, building technology and will be exemplary examples of contemporary design. The bay holds some fascinating geology which has a character distinct from other bays in the area. The Ochre Houses will be something special.